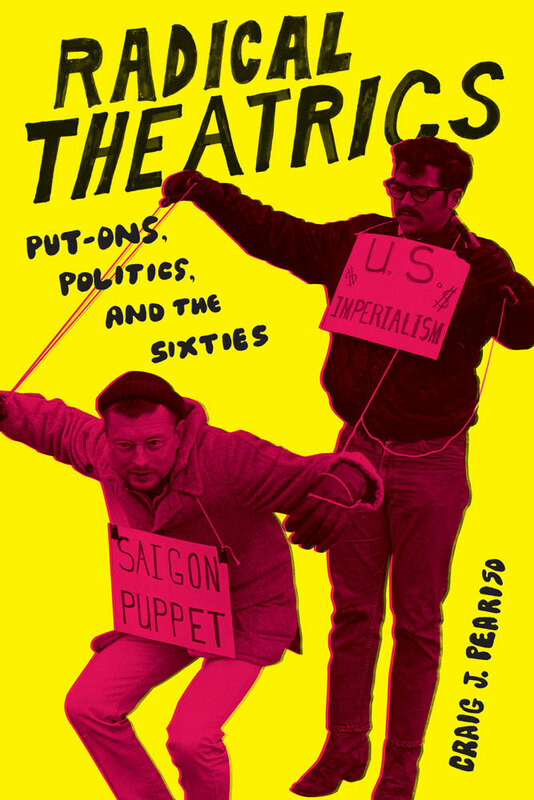 Craig Peariso’s Radical Theatrics: Put-ons, Politics, and the Sixties analyzes the theatrical actions of the 1960s counterculture movement and finds that, contrary to popular belief, their over-the-top antics were more than attention-seeking displays. From Occupy Wall Street and Flood Wall Street to the creative Keystone XL pipeline protests, such theatrics are still considered effective by the diverse groups within American society expressing political dissent. To mirror the book’s approach of using contemporary 1960s source materials in its analysis, I thought the book’s overall design should feel as much from that time period as possible without being nostalgic or resorting to tired stock protest imagery. The image research included print ephemera and documentary photography of protests as diverse as the October 21st March to “Levitate the Pentagon” to humble Quaker pray-ins in front of the White House. 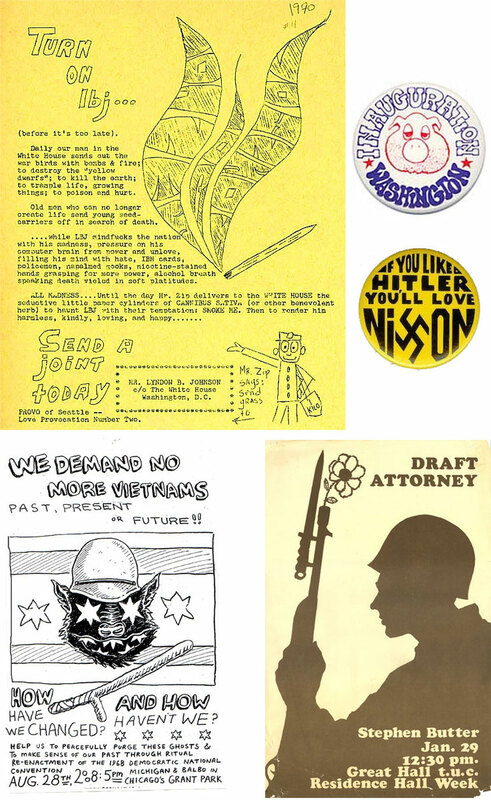 This entry was posted in Behind the Covers, Book Design and tagged 1960s, and the Sixties, counterculture, Politics, protests, Radical Theatrics: Put-ons, Vietnam War, Yippies on May 27, 2015 by uwpressblog.